Could you use a new ride? How about a new Jeep? If that sounds good then this is the sweepstakes for you! 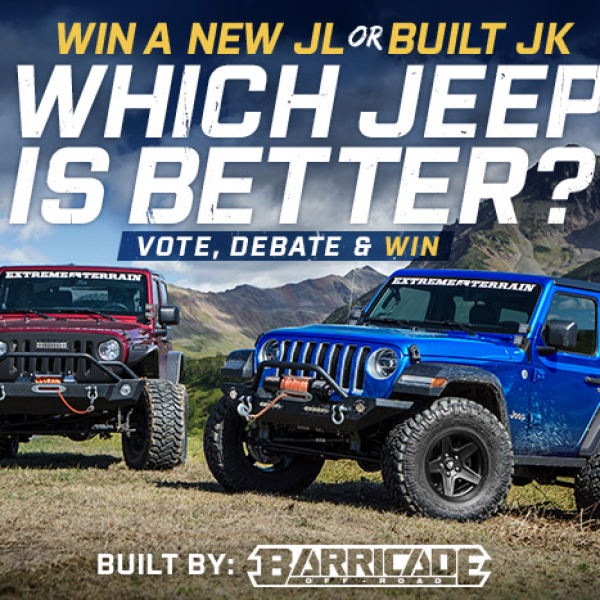 Enter the Extreme Terrain JL vs JK Battle of The Generations Giveaway and win a Jeep Wrangler JK or a Jeep Wrangler JL! A $50,000 value. 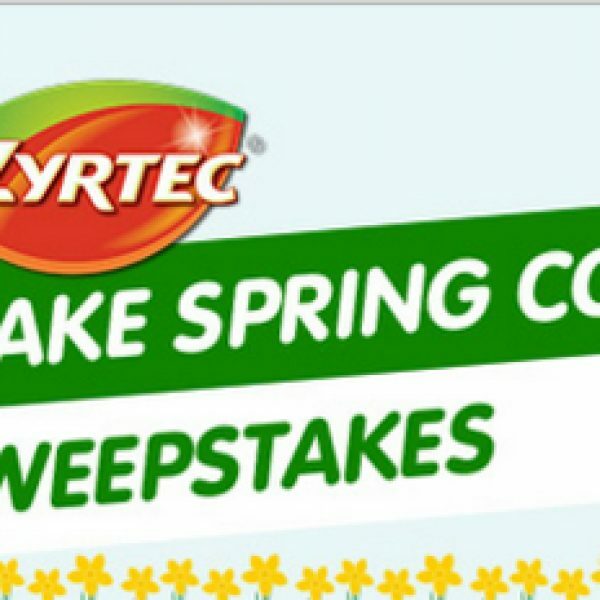 You can enter this sweepstakes weekly. Ends July 13th, 2018. Good Luck! Just click the highlighted link to enter. Are you in need of a break from it all? How does a trip to paradise sound? 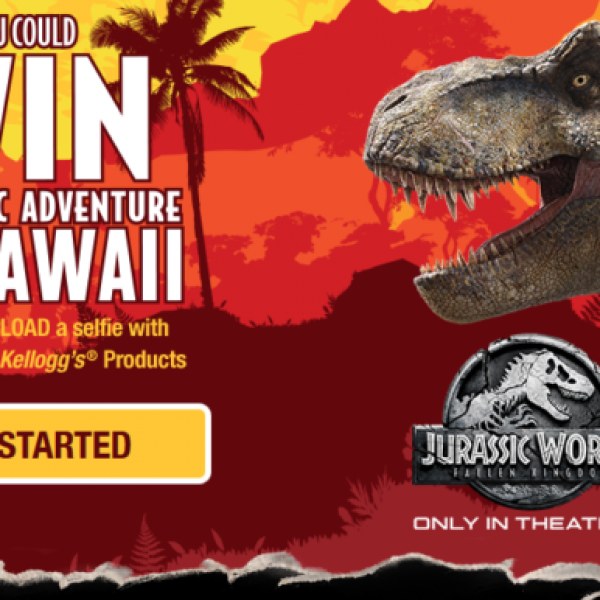 Enter the Kellogg’s Jurassic Adventure Sweepstakes and win a $9,000 four-night trip for two to the Kualoa Ranch in Hawaii including airfare, hotel, a helicopter tour, a movie site tour, a Jurassic jungle tour, ground transportation, rental car, and $1,500 spending money. Plus, 25 more winners will each receive a GoPro Hero 5 Session 4K Action Camera (a $199.99 value) to film their own adventures! Enter daily. Ends July 31st, 2018. Good Luck! Just click the highlighted link to enter. Could you use more relaxation in your life? 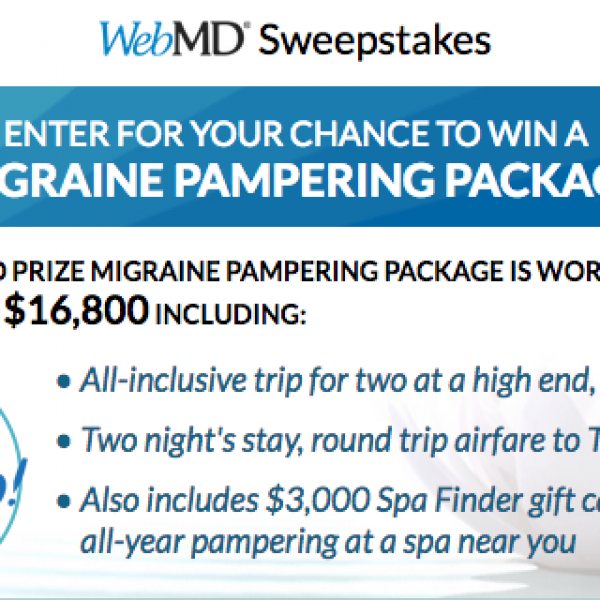 Enter the WebMD Migraine Pampering Package Sweepstakes and win a two-night trip for two to a spa located in Tucson, AZ, a $3,000 Spa Finder gift card, and a check for $4,800. A $16,800 value. Plus 105 people will win $500 prepaid Visa cards. This is a single entry sweepstakes. Ends September 30th, 2018. Good Luck! Just click the highlighted link to enter. Could your home furniture use an upgrade? 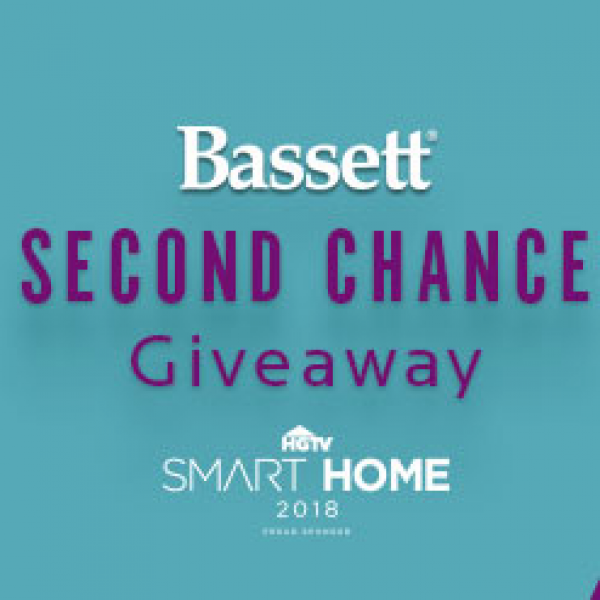 Enter the Bassett Furniture Second Chance Sweepstakes and win $10,000 worth of new furniture from Bassett Home Furnishings! Open to residents of the United States who reside within the delivery radius of a Bassett Home Furnishings store location. Open to 18 and up. This is a daily entry sweepstakes. Ends August 12th, 2018. Good Luck! Just click the highlighted link to enter. Do you enjoy being able to do the things you love and not worry about the expense? Well then this might just be the sweepstakes for you. 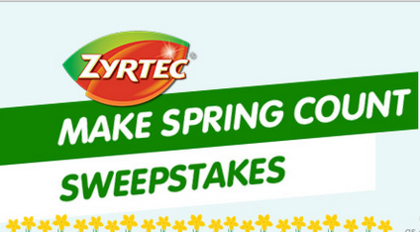 Just enter Zyrtec Make Spring Count Sweepstakes and you could be a very lucky winner. Grand prize is a $10,000 prepaid Visa card. A $10,000 value. Open in the US, must be 18 or older to enter. Sweepstakes ends June 22, 2018. Enter once daily per person/household. Good Luck! Just click the highlighted link to enter.